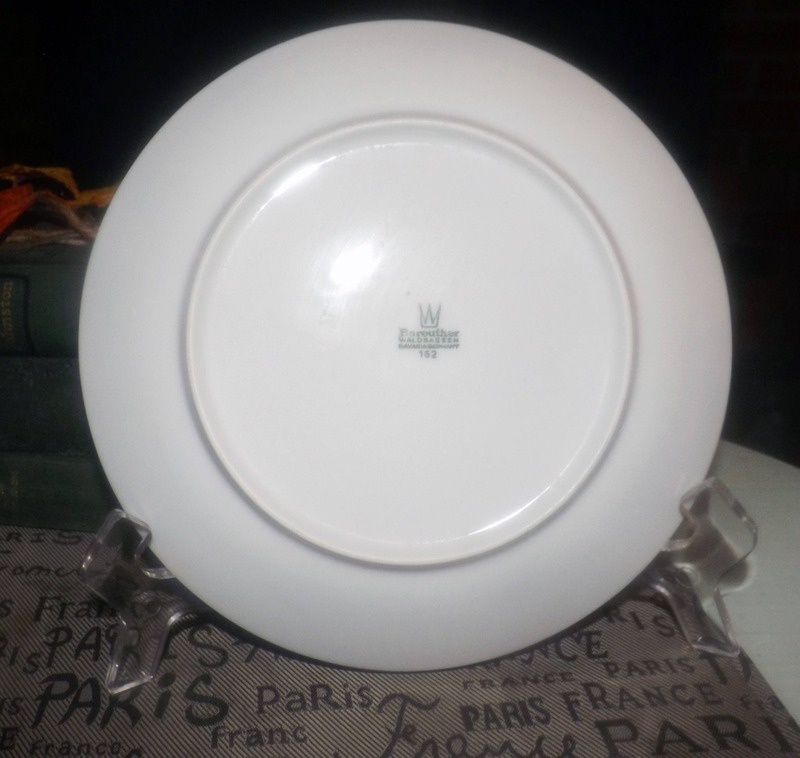 Vintage (1980s) Bareuther Waldsassen BTH44 pattern salad | side | seafood plate. Large red lobster in center, white ground. 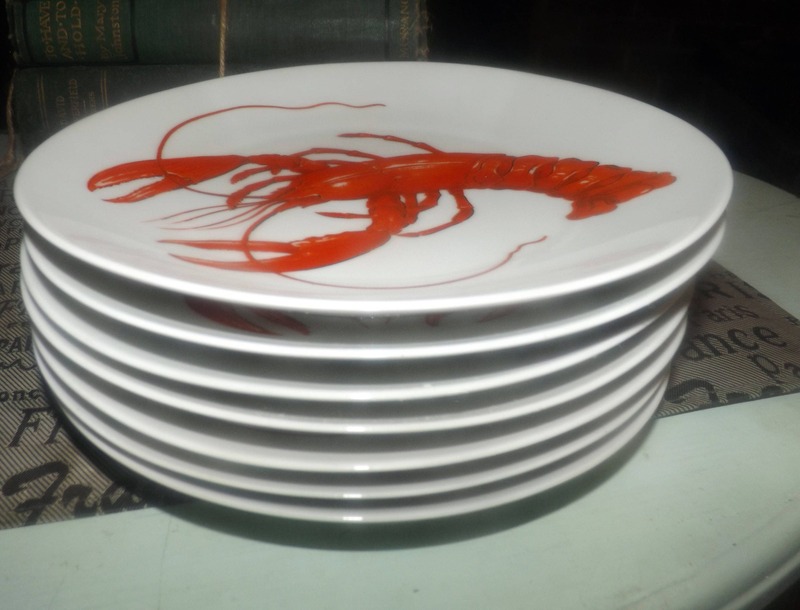 Vintage (1980s) Bareuther Germany BTH44 pattern (replacements.com) salad or side plate featuring a large red lobster in the center set onto a ground of fresh white. 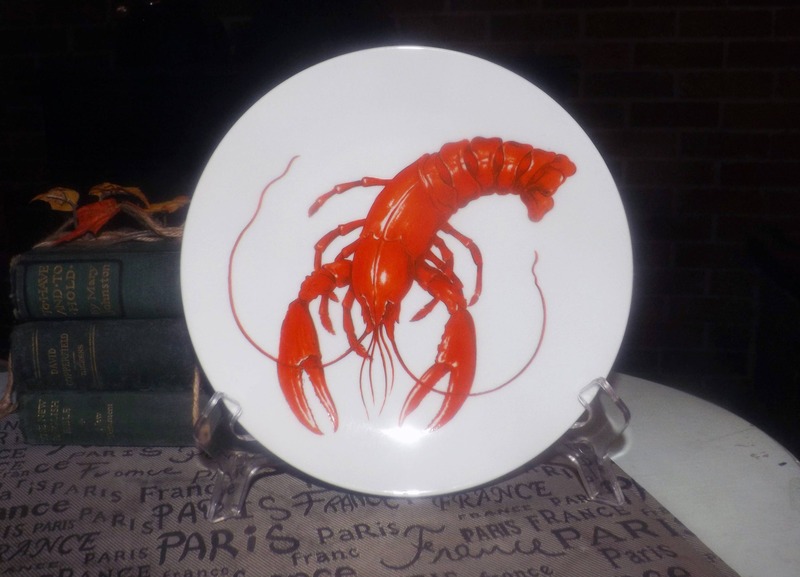 Great plate to have about if you prepare and serve a lot of seafood! 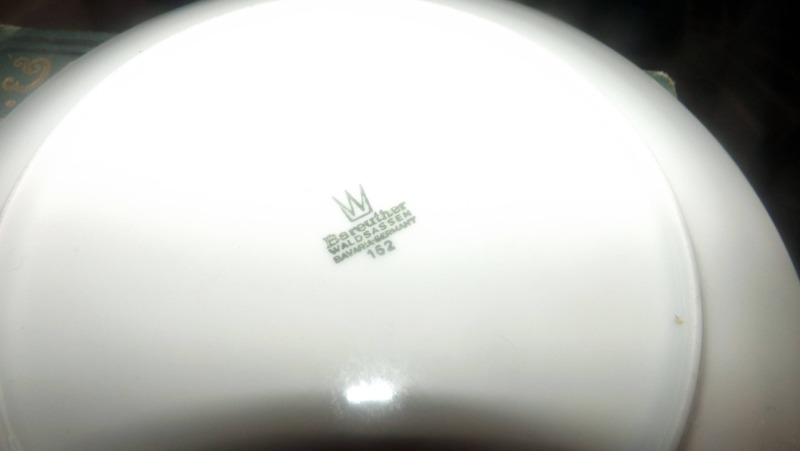 The mark on the reverse of this plate was used by Bareuther during the years of 1970 through to 1983. In EXCELLENT! condition with NO! chips, nicks, cracks or fleabites, NO! crazing and NO! marks or stains. 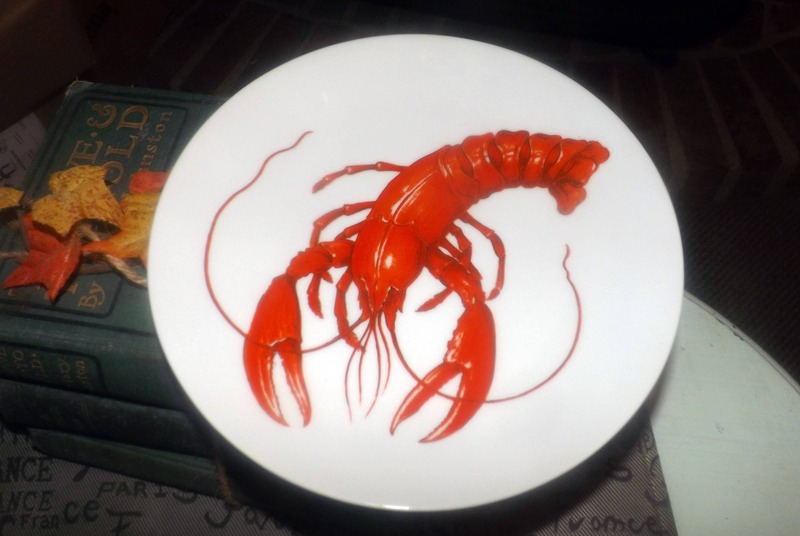 There are one or two small scratches to the red lobster imagery (please review each of the posted photos for a complete visual of the item) but otherwise there are NO! other signs of use or wear. 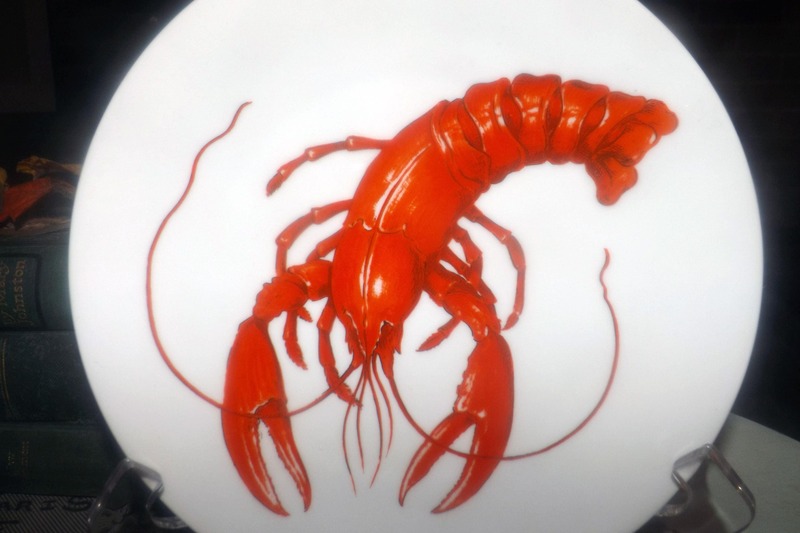 The red lobster imagery is bold and vivid with NO! fading apparent. Approximate measurements: 8-1/4" in diameter (measured edge to edge) with a gently coupe shape.